JEFFERSONVILLE, Ind. — The Bureau of Alcohol, Tobacco, Firearms and Explosives (ATF) Louisville Field Division, is requesting assistance from the public for information regarding an explosives theft. Between June 8 at 4 p.m. and June 9 at 6:30 a.m., an unknown person(s) broke into an explosives magazine (trailer) at the River Ridge Development site in Jeffersonville. 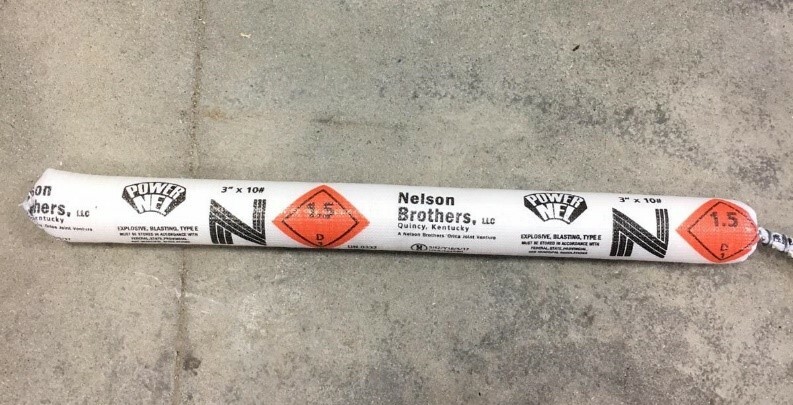 The suspect(s) stole nine, 10-pound bags of ammonium nitrate blasting agent (see photo below of similar product). The blasting agent is an emulsion that has a gel like appearance to it. ATF is offering a reward of up to $5,000 for information leading to the recovery of the explosives and/or the arrest and conviction of person(s) responsible for the theft. Anyone with information about this crime should contact ATF at 1-888-ATF-TIPS (888-283-8477), email ATFTips@atf.gov, contact ATF through its website at www.atf.gov/contact/atftips, or text to 63975 using the code ATFLOU. Tips can also be submitted by using the Reportit® app, available from both Google Play and the Apple App store, or by visiting www.reportit.com. All tips will be kept confidential. ATF is the federal agency with jurisdiction over violations of federal firearms laws. For more information about ATF and its programs go to www.atf.gov.